The Orthopedic Institute of New Jersey’s 15th Annual Sports Medicine Conference boasted a capacity crowd at the Meadow Wood Manor in Randolph. 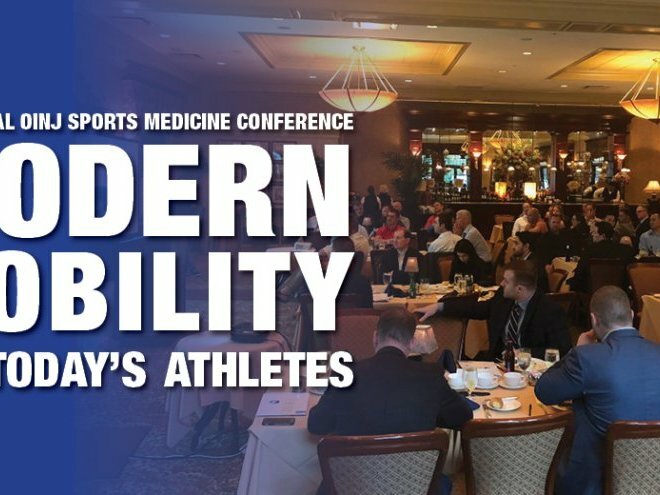 Featuring Philadelphia Eagles trainers Joe O’Pella and Monte Wong, the conference program offered physicians and certified athletic trainers a chance to mingle with other professionals in their field and get up to speed on the latest in medical practices and techniques. For the trainers, it was also an opportunity to pick up three hours of continuing education credit along the way. Wong, a physical therapist and assistant athletic trainer for the Eagles, gave a presentation on how to use functional training and testing when making decisions about returning an athlete to play after an injury to the lower extremities. O’Pella’s presentation was equally intensive, as he presented an exciting demonstration on blood restriction therapy, which uses compression devices to prevent disuse atrophy of muscles and to promote muscle growth. One enthusiastic attendee says, “The athletic trainers’ conference that the Orthopedic Institute of New Jersey puts on annually is one of the best CEU opportunities offered to local athletic trainers. The information is always valuable and the relaxed setting is great for networking and having friendly conversation with colleagues.” The OINJ physicians who presented included orthopedic surgeons and sports medicine specialists William Sayde, MD, and Rehan Shamim, MD. Both doctors have served as assistant team physicians, positions that gave them on-the-field experience in athletic injuries and treatments. Dr. Shamim’s informative session discussed shoulder instability and treatment techniques. Dr. Sayde spoke about ligament injuries and the use and function of an internal brace in healing, describing the potential benefits of its application. “It’s always gratifying to see how well-attended our conferences are,” says Dr. Sayde. “I feel it’s extremely beneficial for both our community and our patients to make sure that knowledge is disseminated. 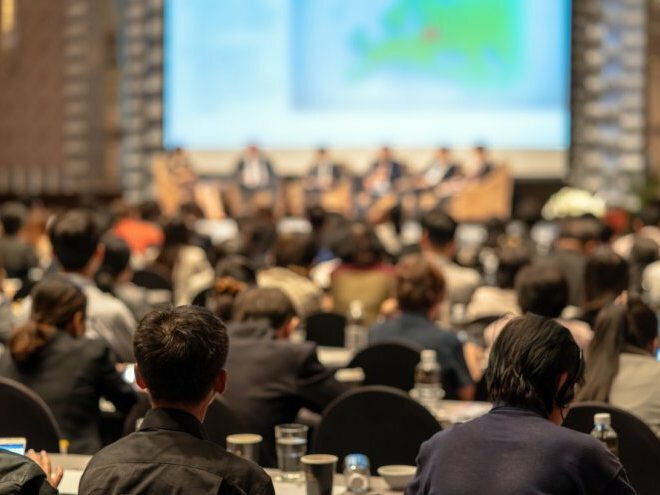 We’re happy to bring these outstanding guests, with their sharp and current field experience, to our audience.” “To me, it’s a statement of trust, that so many physicians and certified athletic trainers turn out for our educational events. It says to us that they know they’ll be getting the most accurate and up-to-date information from our practice — that the time spent will be well worth it,” says Dr. Shamim. “I’m proud to be part of this group of esteemed professionals.” With eight office locations in northern New Jersey and eastern Pennsylvania, OINJ is able to service patients from Milford, PA, to Summit, NJ. 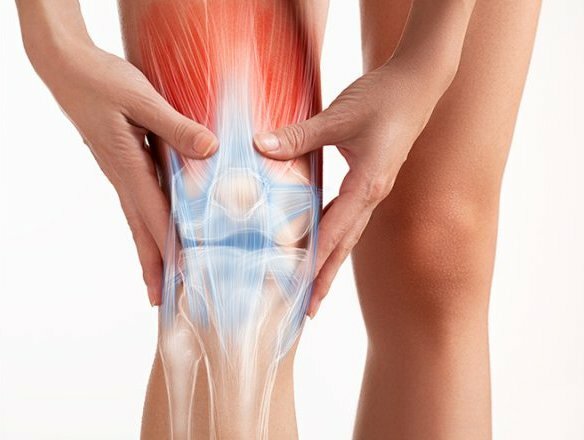 OINJ is known for its orthopedic expertise, targeted, innovative treatment, attentiveness to patients and efficient and organized staff.The office accepts most insurance plans, and the staff has privileges at Morristown Memorial Hospital. About Orthopedic Institute of New Jersey The OINJ board certified physicians and specialists from all branches of orthopedic care collaborate with each other and with other partners in their patients’ care to come up with the best plan of action, providing both surgical and non-surgical solutions built from this team effort. Multiple office locations, extended hours, urgent care sites, and a centralized call center make it easy for referring physicians and for their patients, who are of all ages, with injuries and conditions of all kinds. Visit www.orthopedicnj.com for more information.